Trilobites: You Flushed the Toilet. They Made Some Bricks. It may be unpleasant to contemplate the ultimate fate of all the material from your own body that you flush down the pipes. But it’s time we talk about biosolids — the disinfected leftovers from the water treatment process. This sandy material contains nutrient-rich organic content that’s good for agriculture. But it also makes nice bricks, according to Abbas Mohajerani, a civil engineer at Royal Melbourne Institute of Technology University in Australia. He’s talking about the kind we use for building. “Biosolids bricks look the same, smell the same and have similar physical and mechanical properties as normal fired clay bricks,” he said. And as long as it’s done locally, he thinks that recycling stockpiles of leftover biosolids into bricks could save land and energy, and reduce carbon emissions. Worldwide, humans produce vast quantities of biosolids. In a single day, New York City alone makes 1200 tons, or about 50 truckloads. And the amount of biosolids is growing as populations expand around the planet. The old solution was to dump them into the sea or a landfill. But more treatment plants and stricter regulations are prompting people to find clever ways to recycle the dried sludge. About 50 to 70 percent of it is now used, mostly to boost soil quality or fertilize crops. But the rest remains unused or stockpiled. In the United States, it’s estimated that nearly a third of the 7 to 8 million tons of biosolids produced each year still end up in landfills. As organic particles in the waste decompose, greenhouse gases such as carbon dioxide escape and can contribute to global warming. And then there are bricks. The world makes trillions of them each year. The soil it takes to make them is enough to fill 1,000 holes, each as big as a soccer field and nearly as deep as The Empire State Building is tall. And it takes a lot of energy, too. Other researchers have tried mixing bricks with biosolids and other waste products. Dr. Mohajerani had experimented already with cigarette butts. So turning waste into a building material didn’t seem so far-fetched. 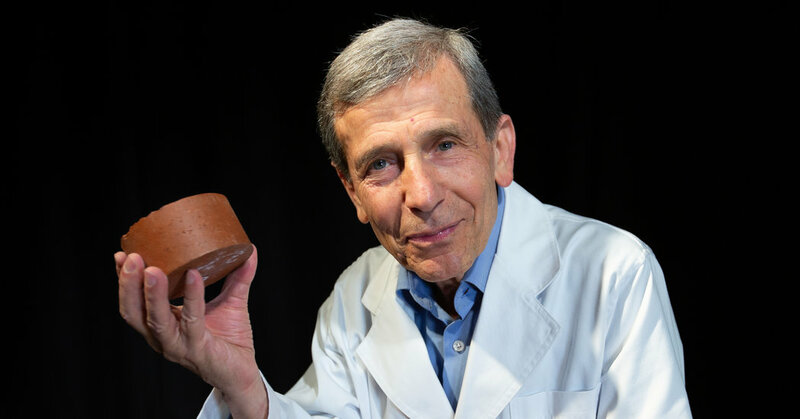 Over the course of half a decade, he and a team of researchers collected biosolids from two wastewater treatment plants in Melbourne and mixed them with soil to make hybrid bricks of varying proportions. They fired them for 10 hours, at nearly 2,000 degrees Fahrenheit, and cooled them, then compared them in tests to normal bricks. The team’s findings, published earlier this month in the journal Buildings, ranked the biosolid bricks similar in quality to those currently on the market. And the researchers proposed that incorporating just 15 percent biosolids into all the bricks made around the world each year would eliminate all of our leftovers. Depending on the amount of biosolids used, how they were treated and how long they sat around, the biosolid bricks were safe, durable and in some ways energy efficient. Because organic material burns up when placed in a furnace, biosolid bricks require as little as half the energy to fire as normal bricks do (depending on how much organic material is in the bricks). The burned organic material also leaves behind spaces in the biosolid bricks, making them lighter, more porous and filled with gas. And because gases are poor thermal conductors, heat passes through biosolid bricks more slowly. That makes them better insulators, which could result in savings on heating and cooling costs, Dr. Mohajerani said. But the trade-off is strength. Although biosolid bricks met industry requirements, they were typically not as sturdy as regular bricks. In a related analysis of the potential production process, the research team determined that making bricks with biosolids would be better for the environment overall, even though biosolid bricks require more water and could produce other forms of pollution.